HYDRO 60 dewatering submersible pump : this worksite pump is used in public works or by the firefighters for their interventions in case of floods. Very high flow until 60 m3/h. > Delivery with cable 10 m.
The HYDRO N1100T and HYDRO 40T are submersibles pumps used for draining clear water and cloudy water. 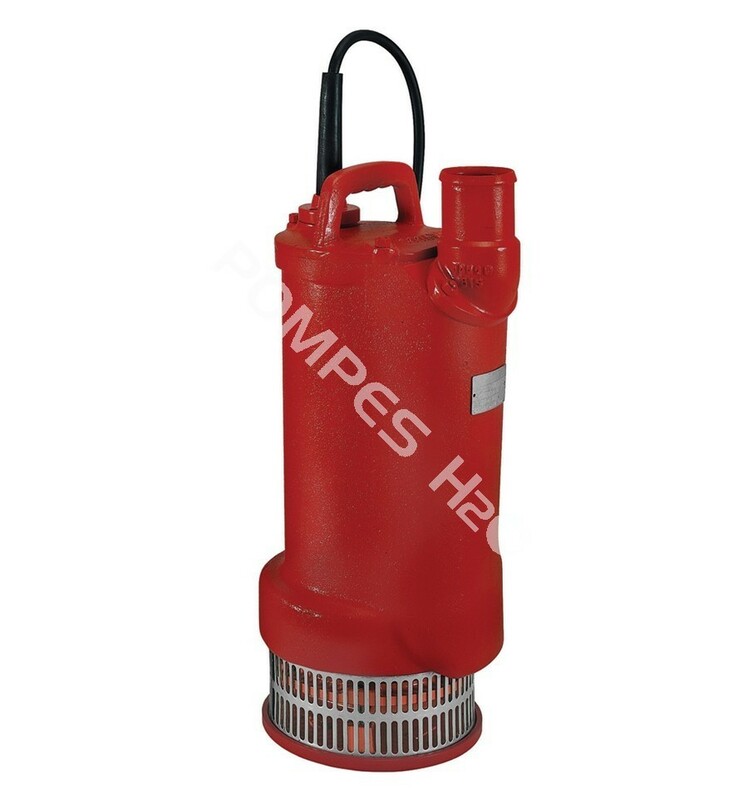 Used on worksites, like back-up pump portable or fixed for all kind of pumping. > Supply voltage : Three-phase 400V ± 5%. > Protection : insulation classe F and level of protection : IP 68. > Shaft, bolt and filter in stainless steel material ; casing, body pump and diffuser in aluminium alloy material. > Wearing parts are adjustable as to retain them, and they are easy to substitute too. > Double ball bearing (superior & inferior), on the motors of N1100T and 40T pumps. > Electric squirrel-cage motor, dry rotor, cooled by the pumped liquid. > Asking for have automatic complete version model. > Electric cable 4G2.5 - 4G4.